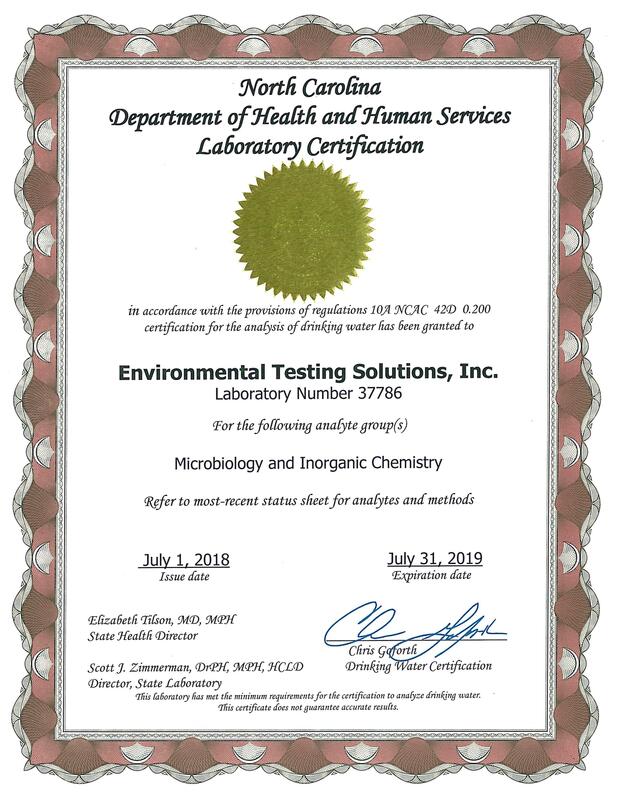 Environmental Testing Solutions, Inc. provides drinking water testing for systems that are required to perform analyses by the state of North Carolina. 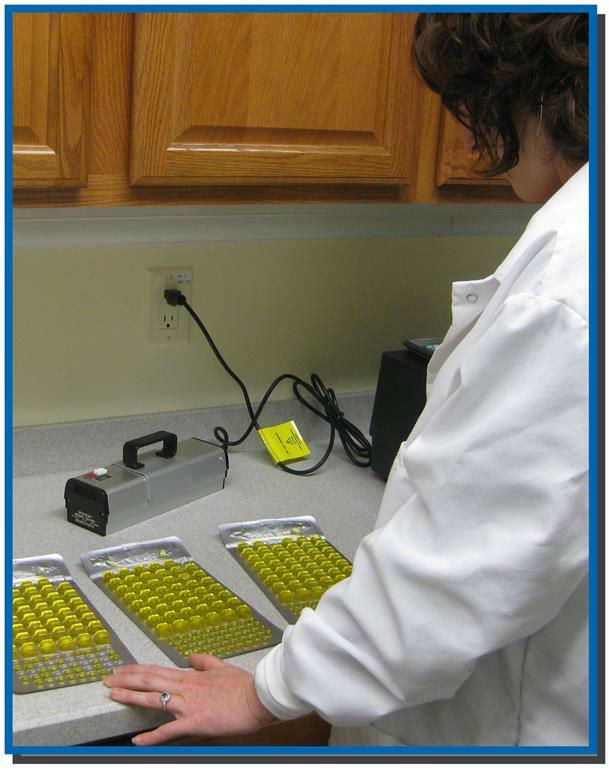 Environmental Testing Solutions, Inc. performs bacteria and nitrate analyses of drinking water. These analyses are used to evaluate the quality of public water systems. Public water systems are required by the North Carolina Drinking Water Act, Rules Governing Public Water Systems and the US Safe Drinking Water Act to monitor their water systems to ensure that drinking water standards are met. for E. coli by the Quanti-Tray method. With the Quanti-Tray method, sample cells that fluoresce contain E. coli. ETS is certified for these tests by the North Carolina Department of Health and Human Services (NC DHHS).